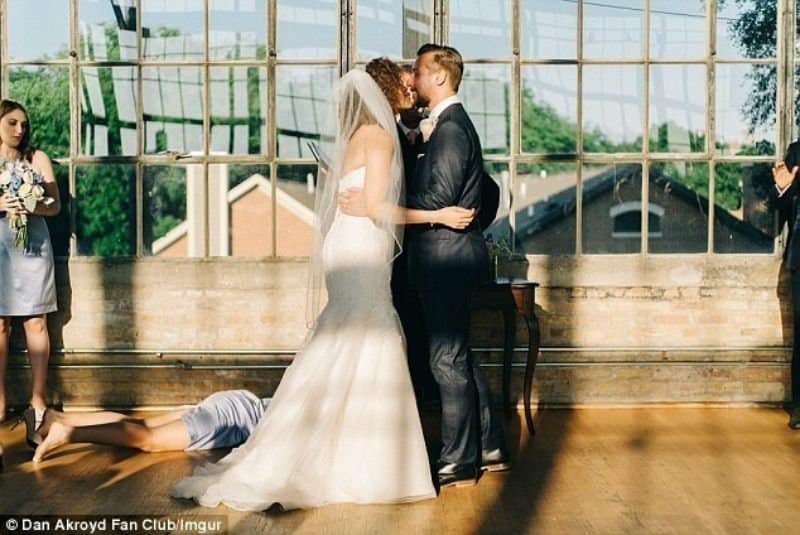 When it comes to trying to come up with wedding photos that we can all be proud of, there are times when we make a rather large mistake. We want our photos to have an original look to them and we end up being just a little too original. Sometimes the look isn’t even something we meant, but a mistake that takes place at just the wrong time and just when the photographer was snapping the picture. However, these photos happened and they’re here now for your enjoyment. 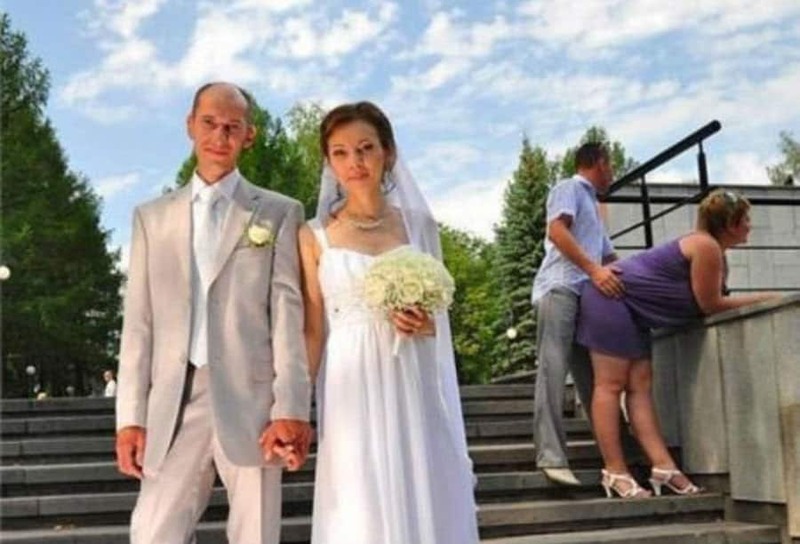 Check out out list of 10 wedding fails so terrible, you’ll feel guilty for laughing at them and let us know if you have any photos like this in your stash. Getting a Jump On Post Wedding Fights? It’s possible the stuff on their faces is frosting. 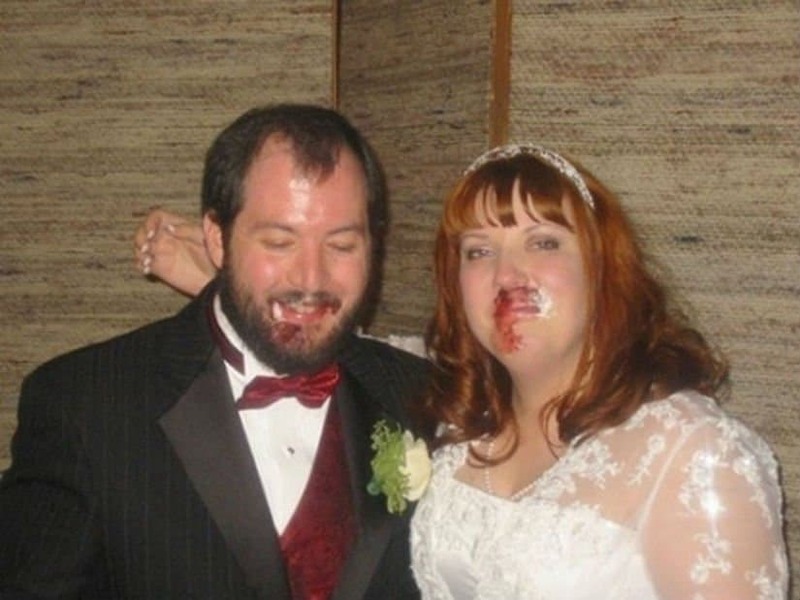 It certainly looks like they got into a wedding day brawl. It’s clear this idea was a great one. Sometimes, even the best ideas don’t have a great outcome. This is one of those wedding don’ts. 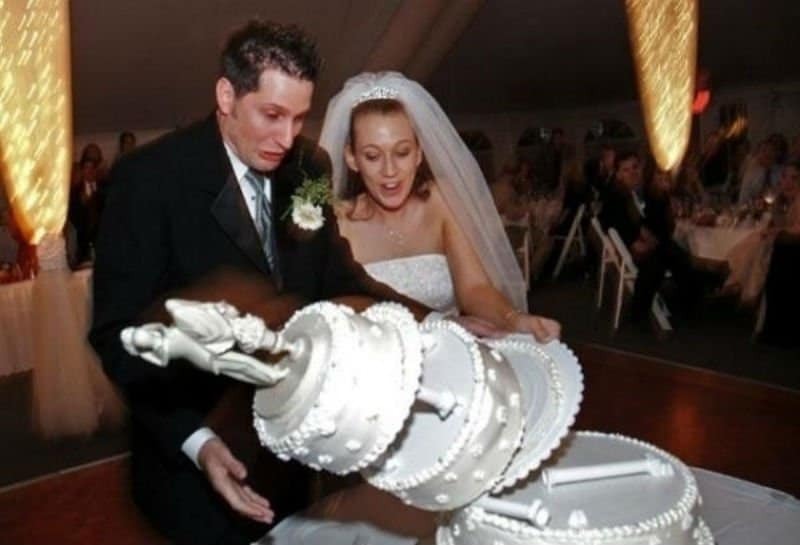 You don’t knock the cake over during the reception. 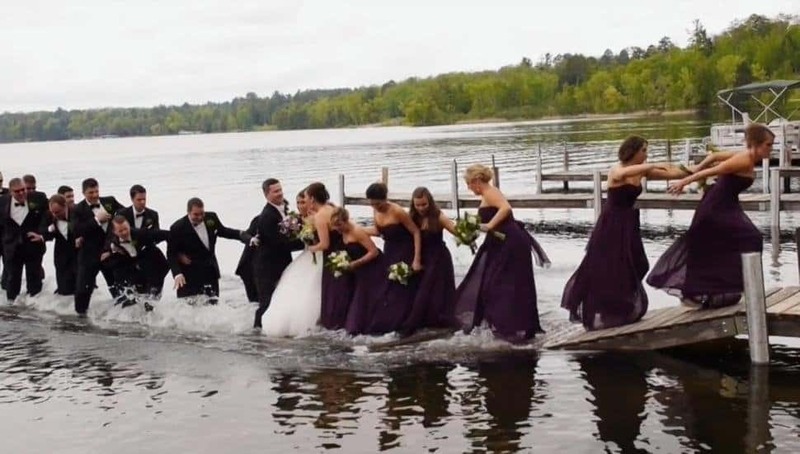 This couple is certainly picking an interesting way to start their wedding. We all know it’s not realistic either, don’t we married fellas? 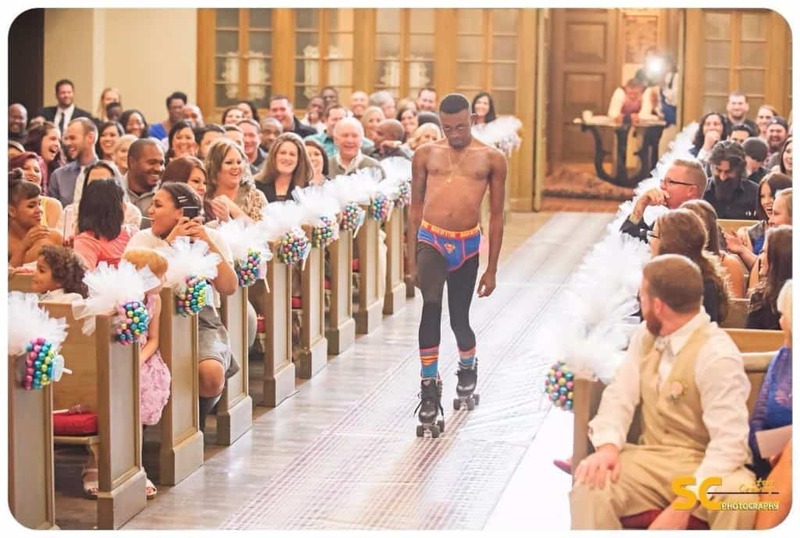 It appears these people went a bit too far in the whole “we want our wedding to stand out.” That or this is the ultimate wedding crasher. Though usually, it takes some real timing to catch women fixing their underwear at the same time. Perfect timing is perfect. 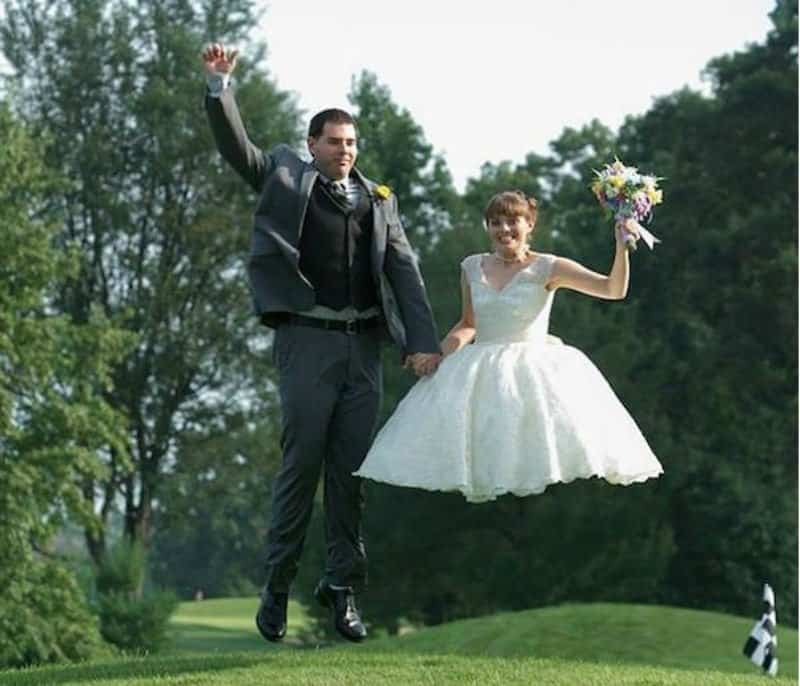 It seems as if these two newly weds are jumping with joy in this picture, but it looks as if the bride has lost her legs — literally. 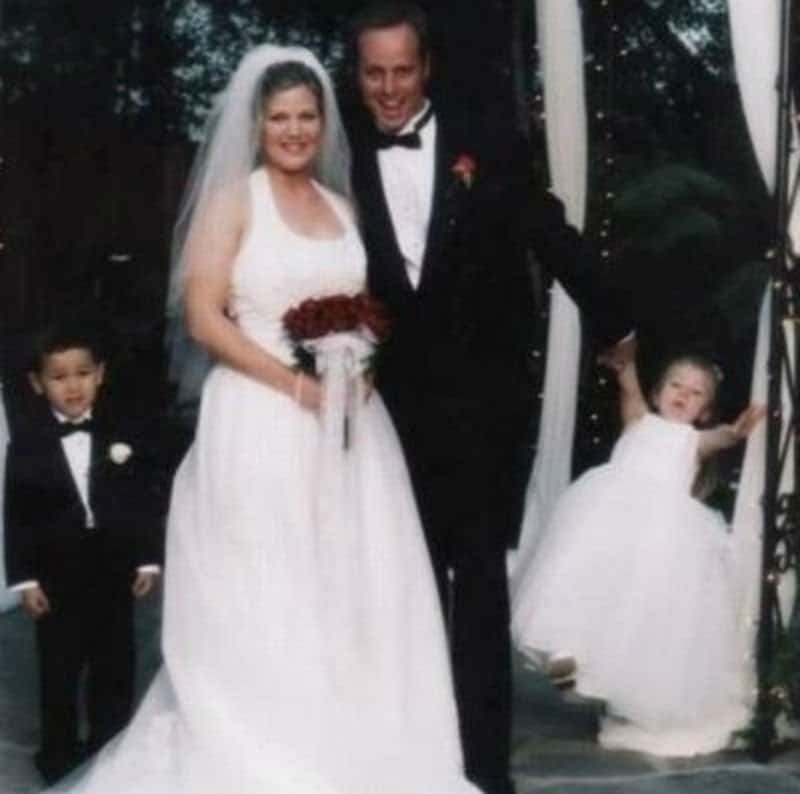 There’s nothing so great as capturing a photo of a kid who is going to have to relive this embarassment over and over throughout her life.